I read this article and found it very interesting, thought it might be something for you. 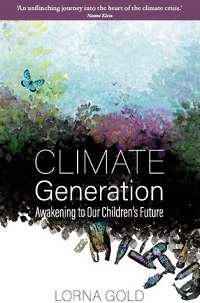 The article is called Your Child’s Climate Future – What You Can Do – A Practical Guide and is located at https://www.totallydublin.ie/event/your-childs-climate-future-what-you-can-do-a-practical-guide/. A simple crash course on how you can make a difference in your family’s future. The climate chaos conversation is worrying both parents and parents-to-be. Join this event and empower yourself with practical tips and tools from experts on changes that could make a significant difference on how you and your family live. Take your children’s future seriously. Sustainable Marketplace: Check out helpful information on sustainable kid’s wear and products as well as an SEAI stand on Home Energy Grants.